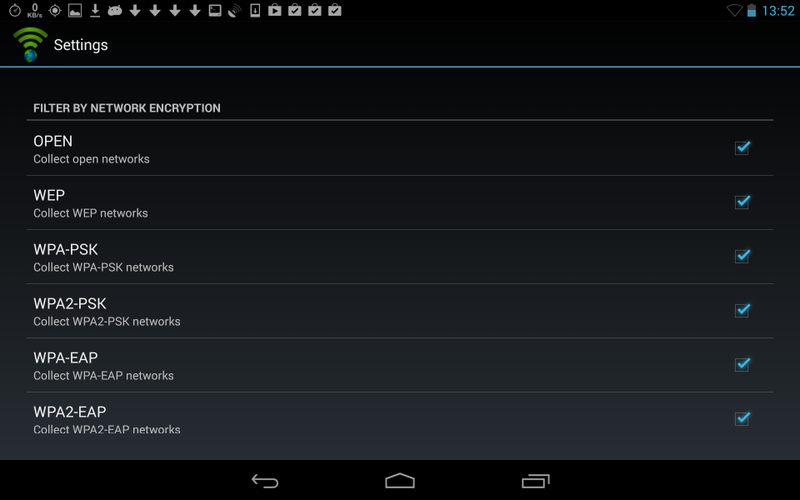 New utility that collects wireless networks information and their location for… Android !? Before you go to download and install it, let me lower your expectations. The utilities that I create for Windows are a result of many years of experience in Windows programming and very deep knowledge of Windows operating system. As opposed to Windows, I have very little knowledge in Android programming , and this new application is actually the first app for Android that I ever created. Moreover, Android is a quite limited operating system (unless you have a rooted device), so many things that I do in Windows cannot be done in Android. So … the application presented below will get the job done , but it’s not powerful, small, and effective like my Windows utilities. Wifi Collector is an application for Android that collects information about wireless networks and their location while you’re walking on the streets or driving your car. For every wireless network, the following information is collected: network name (SSID), MAC address of the access point, company that manufactured the access point, signal level, channel frequency, channel number, security (WEP/WPA/WPA2), WPS support (Yes/No), Date/Time that the network was detected, and the location of the wireless network (Longitude and Latitude) taken from the GPS. 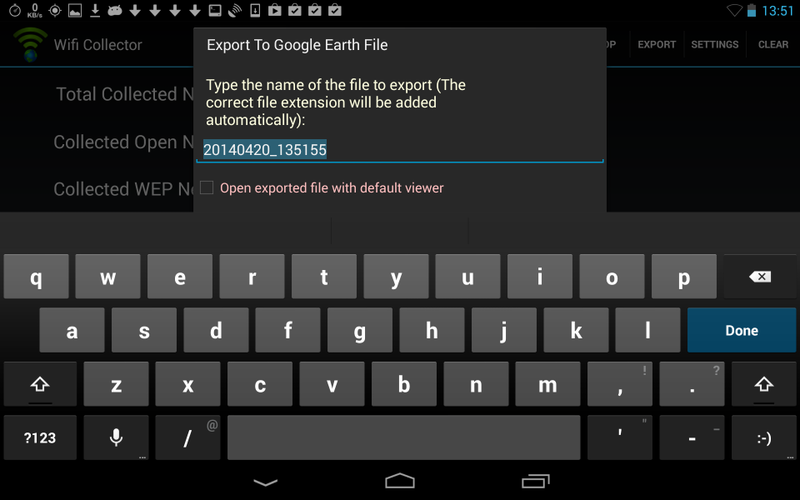 After collecting the wireless networks information, you can export it into csv file, tab-delimited file, HTML file, or .kml file of Google Earth, which allows to view the location of all collected networks on a map of Google Earth. As opposed to my Windows counterpart tools (WifiInfoView and WirelessNetView ), this application doesn’t display all collected networks information on the main screen. Instead, it only displays general statistics about number of collected networks. Also, due to limitation of Android API, some of the wireless networks information displayed by my Windows tools is not available in the Wifi Collector application. The Wifi Collector application is available to install from Google Play. You can also download and install it directly from NirSoft Web site on the official Web page of Wifi Collector. Posted by NirSoft on April 21, 2014 at 8:29 am under Android. InstalledDriversList is a new utility for Windows that lists all device drivers that are currently installed on your system. For every device driver, the following information is displayed: Driver Name, Display Name, Description, Startup Type, Driver type, Driver Group, Filename, File Size, Modified/Created Time of the driver file, and version information of the driver file. Posted by NirSoft on April 12, 2014 at 2:49 pm under Utilities Update.